Your twenties are a fantastic period, full of significant life changes like the entry into adulthood and the workforce. While it may not be at the forefront of most ‘live-for-the-moment’ 20 somethings minds, this is also one of the most important periods to start planning for your financial future. It may feel like you’re living between paychecks in the years following graduation, but this is often a false perception. Although you may be working for a less than inspiring salary, the lack of outside costs like kids and house payments means that you have more financial independence than you probably will in later years. It is important to take advantage of this, and start building an investment portfolio as early as possible. Even if you start with a small amount, investing early is always rewarding. 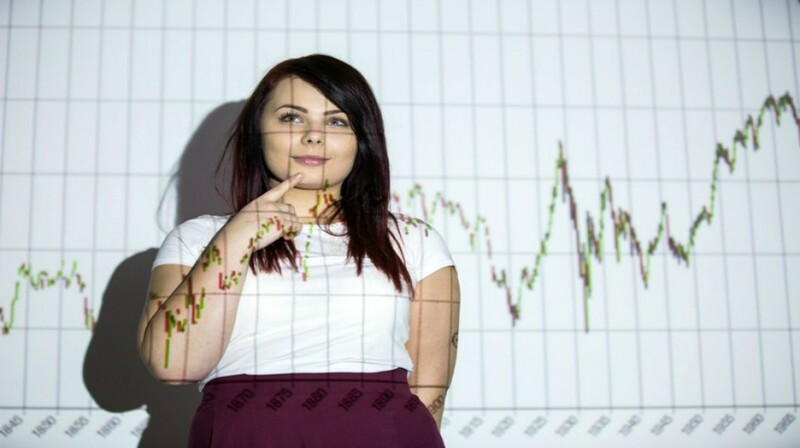 Here are five ways to make the most out of investing in your 20’s. 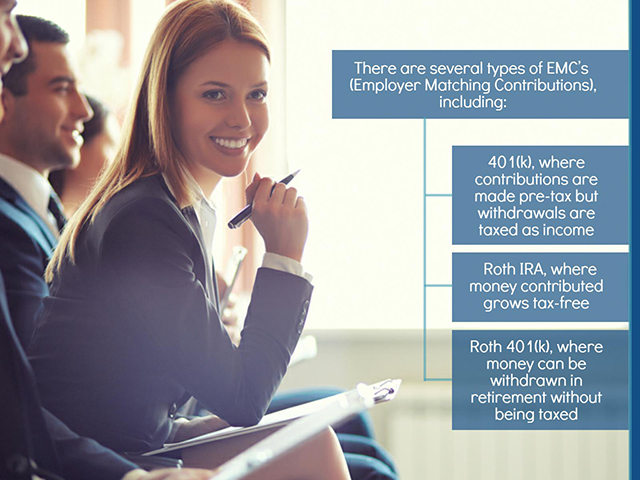 If your job has employer matching contributions, you should start investing part of your salary as soon as possible. 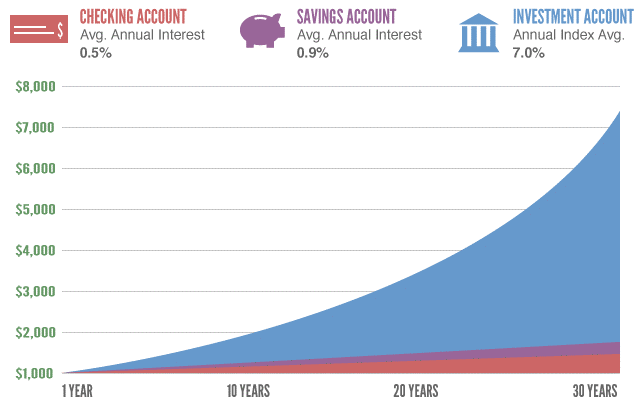 Thanks to the financial magic of compounding interest, the sooner you start saving, the easy it will be to reach your comfortable retirement goal. 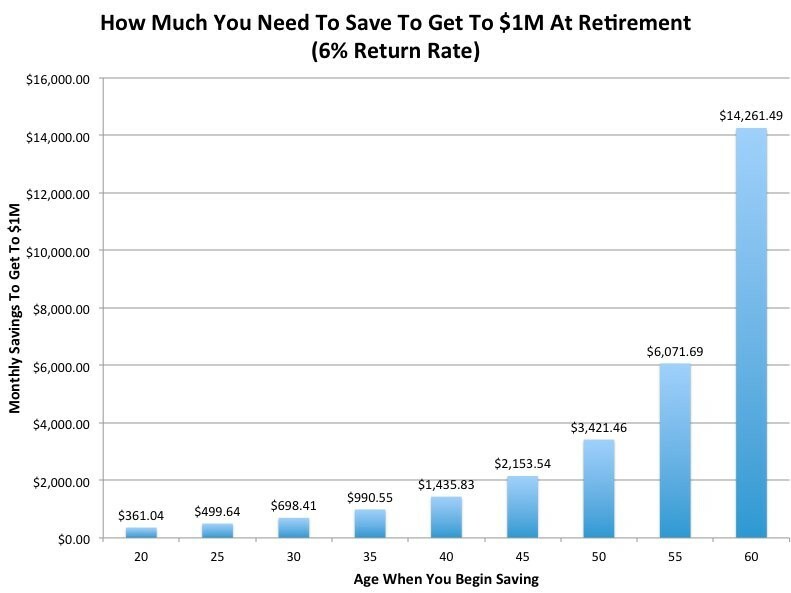 The graph below shows how one can make a million dollars at retirement by saving from the age of twenty. 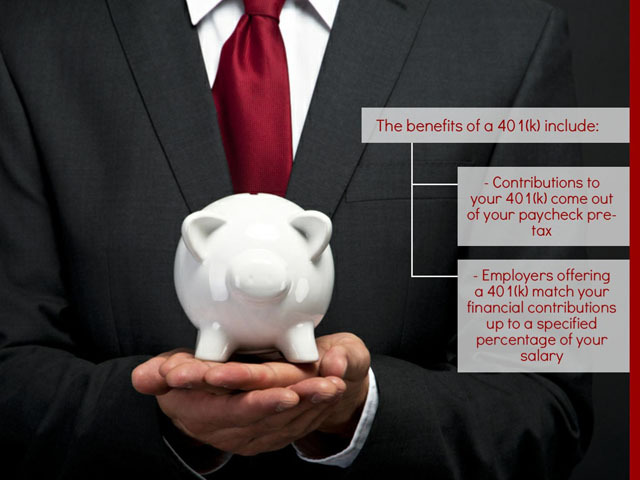 A 401(k) retirement plan is one of the easiest ways to invest for your retirement. Regardless of the system in place in your job, you should start making contributions to your fund as soon as possible. Ideally, you should contribute the maximum amount that your employer will match, but this may not be realistic at the very start of your career. If you can’t afford to pay the maximum for matching employer contributions when you first get started with work, you should make a goal to work towards it as quickly as possible. Although it can be tempting to play it safe when it come to your finances, taking risks is by far the best way to get a good return on your investments. This is evident when you compare savings accounts – the ‘safer’ option – to investing in the stock market – the ‘risky’ option. Look below to see the variety of saving options and the returns offered across 30 years of investing. The good news is that your 20’s are the best time to take some risks with your finances. If you’re saving for your retirement, you will have enough time to recover from any significant losses from setbacks in the stock market. In addition to this, the higher returns likely from riskier investments will help you overtake inflation. While making risky investments, playing it safe with your finances is also important. You should always ensure that you make well-informed decisions, and insulate yourself as much as possible by diversifying your stock portfolio. If purchasing stock options in individual companies is too much of a risk, you should consider index or exchange traded funds. These are designed to imitate an index, and as such lessen some of the risks associated with investing in separate stocks, such as the stocks of an individual company potentially crashing. An example of this is the Standard and Poor’s 500 Index (S&P 500) in the US, which follows 500 of the largest US companies. While investing in this index is not guaranteed to pay off significantly over a short period, the general increase over time makes it perfect for long term investment. 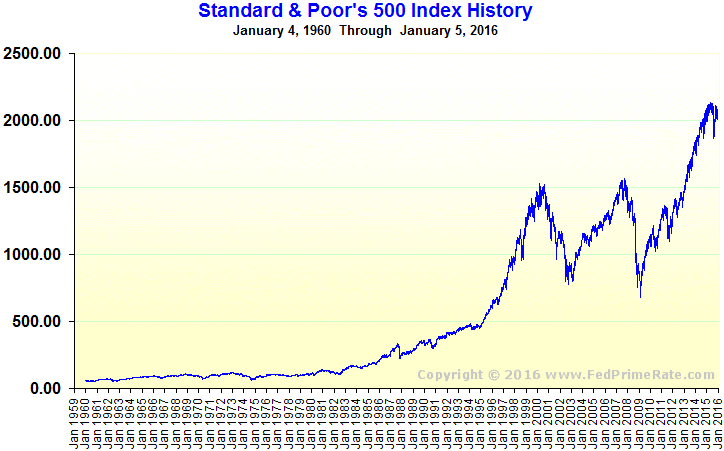 The S&P 500 Index history depicts an overall increase from the year 1960 to 2016. Although long-term investments provide a high return, researching markets and the performance of different companies can be incredibly time-consuming. The huge amount of time saved by investing in index funds and ETF’s is a significant benefit. Getting professional help to manage your investments is a good option so that you can stay updated, have peace of mind, and expect better financial returns in the long run. Fortunately, financial investment help is currently very affordable. A target-date fund is typically used for 401(k) accounts and involves an adjustment in the level of risk to your investments over time. This way you can reap the benefits of high-risk investments while you are still left with many years of employment and investments to recover from any financial downfalls. Conversely, this fund gives the assurance of low-risk investments closer to the date of your retirement. While some may find the cost of this type of fund comparatively steep, the simplicity, extra protection and method of varying your investments over time make it worth it to many people. Computer-based investment managers, or Robo-advisors, are commonly used by those investing through an IRA. They usually charge up to 0.50% of your total investment, including management fees and investment expenses – a small price to pay for confidence and peace of mind. As mentioned earlier, putting away even a small amount of money is better than saving nothing. Even if you can only save $100 a month at the start of your career, this can make a big difference in the long run, and getting used to the act and mentality of saving money is always a good thing. While you may find it difficult at first to sacrifice spending money for savings, once it becomes routine you will not know any difference. 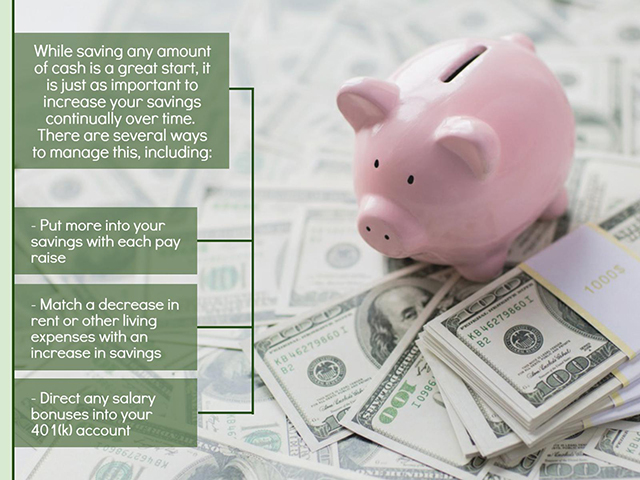 Directing part of your salary into your savings account will help you save those extra dollars. Although it may seem daunting, starting investing in your twenties is the best way to help your future self. Following the tips outlined above should help you make the most out of this period, and set yourself up for a fruitful and comfortable retirement.